Though Christmas is often considered a time for hearth and home, every so often we just want to add something new. It adds dimension, helps you realise just what is that you love about the way you celebrate this time of year. Christmas traditions change a lot more readily than you may think, so if you don’t fancy doing roughly the same thing you did last year, here’s some suggestions for why you might want to try Holland out this December. Short stay trips from Hull to Rotterdam with P&O Ferries are an excellent way to add a little difference to your routine. Treat the kids to a bit of Christmas market shopping or steal your partner away for the weekend to reconnect or just get away from it all. What’s great about a city break at this time of year is that though the rat race keeps ticking, you’ll find more people want a fun easy atmosphere and time to enjoy the good things, company, food, drink, moments of bliss. The ferry crossing is an overnight voyage allowing you to rest up in your cabin to awaken fresh and ready to make the most of your trip. This time of year does draw crowds so prebook accommodation, doesn’t need to be fancy if you’ll be spending most of your time exploring or drinking in the scenery somewhere. Holland is an excellent place to bring in the New Year. 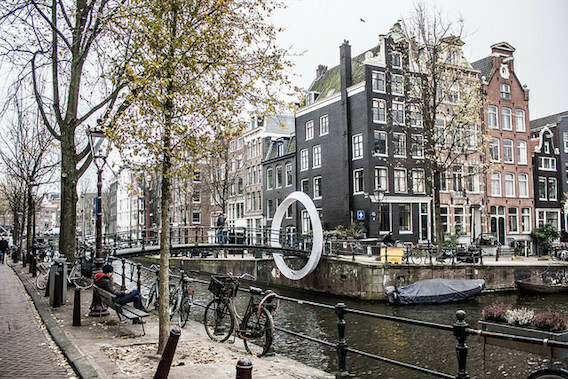 The squares of Amsterdam are like turning hubs, residents ignite fireworks with gusto, you may not be able to see where the music is coming from but you’ll probably hear it. Since the party doesn’t really stop you with the right ferry booking you could power through New Year’s Eve and sleep on the ferry back home. Fancy doing something a bit different this Christmas? We may have something right up your alley. The 2018 Cheese of the Year but you’d better believe the yellow cheese which won with ease, got its namesake from the Dutch city Gouda. Just north of Rotterdam, where P&O Ferries makes berth, Gouda is relatively central and packed with Dutch charm you need not venture to Amsterdam for canals, architecture that spans centuries and a thriving tourist economy. For many of us the cheese platter is an essential part of Christmas and that is why a pilgrimage to Gouda could be considered every turophile’s (cheese fancier) obligation. And the fair citizens of Gouda are well aware of this, perhaps this is why the reason Candle Night Kaarsjesavond has become an annual tradition since 1956. Candle Night taking place this year on December 14 will draw guests from all over the the world. It is an immense display of candles in the central square, illuminating the Gothic town hall and 60ft centrepiece Christmas tree brought each year from Kongsberg in Norway, Gouda’s sister city via England through to Rotterdam, the same journey P&O Ferries follows. Candlelight at Christmas is a guaranteed way to get those festive juices flowing, however this event begins early afternoon in full sun so you’ll be able to get your bearings. The crowd is addressed by the mayor, there are choirs, musicians and entertainers to keep things festive and of course vittles and winter warmers are in abundance. Following Gouda by Candlelight the holiday season really amps up with the installation of a skating rink and Christmas markets to follow. Gouda is a wonderfully scenic place to visit any time of the year but the sparkle that it’s given by the holiday season could make it magical for families and romantic for couples. Though we might call this time of year the dying months of summer, given the heat 2018 has offered us there’s a fair chance this scorching weather will last us a good while yet. So if sun means fun to you (and you can get away with it) why not book a late holiday with P&O Ferries and carry on the good times before winter comes along with another believable reason for the morning commute to be disrupted. Modeste Beer Festival in Antwerp October 6 – 7 an egalitarian event where both major and minor characters in the brewing industry are allotted equal amount of space. Followed swiftly by Brassigaume on October 15 – 16 in Marbehan – a little further south in to the country than most sojourners venture in Belgium but this event champions the smallest breweries and has been known to elevate relatively unheard of brands in to major players. Christmas Beer Festival to bring a bit of merriment to your holiday season Essen’s Beer Festival December 15 – 16. Belgium’s specially brewed winter beers and relaxed yet jovial environment make this event a perfect way to wrap up the year, you can also pick out some exclusive gifts for your beer loving friends back home. This October marks the sixth edition of the Belgian Beer Challenge which this year is to be hosted in Mechelen. Before any of you start polishing your luck tankards this competition is for breweries it’s not an international drinking competition. Over 1500 beers from breweries around the globe will be putting their suds to the test. This competition takes place over three days starting October 2nd. Judgement of the beers falls to a panel of 60 internationally renowned beer connoisseurs (a hallowed position indeed) who at the end of the weekend will award medals for a variety of categories. Mechelen is often overlooked due to its proximity to the larger cities of Brussels and Antwerp about 25km to either side of it. It does however have an intriguing history and cultural prominence to followers of art history being a hotspot for illuminators, painters and printers during the Northern Renaissance. Should you take a ramble through some of the galleries and museums dotted about the town you are bound find wonders that would not be out of place in any of the famous exhibitions of Europe. It is also the geographic locale where the Malinois breed of Belgian Shepherd’s arose and who doesn’t love a big fluffy puppy? p>Running from mid-September to late December is a season of late night culture. 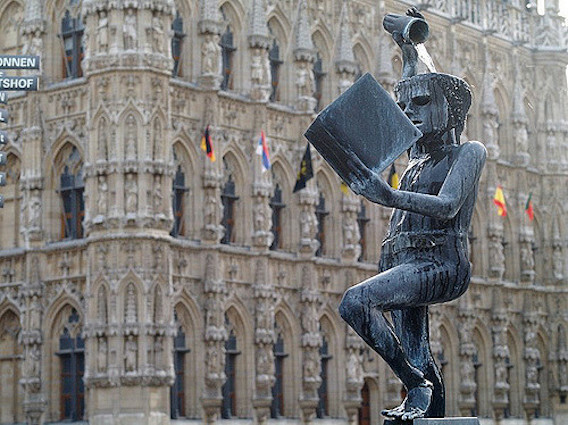 Called Nocturnes, in Brussels where major institutions of learning, museums, galleries and exhibition halls are open until midnight. Last year records were set for the number of people who came to the 54 participating museums during Nocturnes. Brussels is a fantastic city to stroll through during winter, architecture compliments the cold setting making cosiness all the more fulfilling. However after a late dinner it would be a shame to return to your hotel or room and if you didn’t fancy whiling away the night in a bar then a museum certainly offers a novel alternative. Winter 2018 will be an sombre occasion for many people around the world as we gather to commemorate the Armistice drawing a close to the conflict now known as World War One. It has been one hundred years since Europe tore itself apart, and sadly not for the last time. This year marks a milestone and “on the eleventh hour of the eleventh day of the eleventh month” it is fitting and proper that we pay homage. Special commemorative services are to be held across Europe and if you wish to attend one of these ceremonies near the battlefields of the Western Front we would direct you to The Great War website. P&O Ferries offer overnight passage from Hull to Rotterdam daily, if you wish to travel in comfort book a luxury cabin and seat at the onboard restaurant – a budget alternative can get you to Belgium at minimum expense! OK we beg your pardon for the pun. France has an ancient tradition of wine making, the notion of old world vintages from vineyards whose produce has been supped by Popes and Kings is a heritage that’s surely insurmountable. 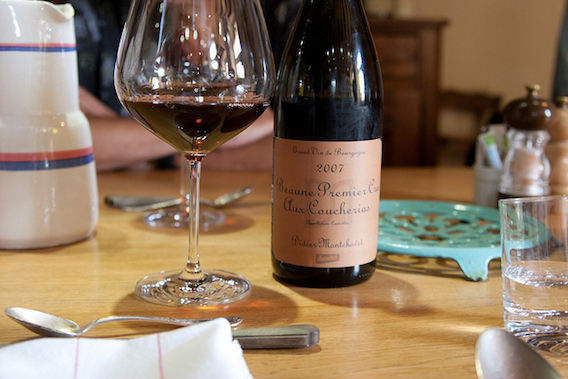 If you’re goal is to learn about wine your first stop really should be France. 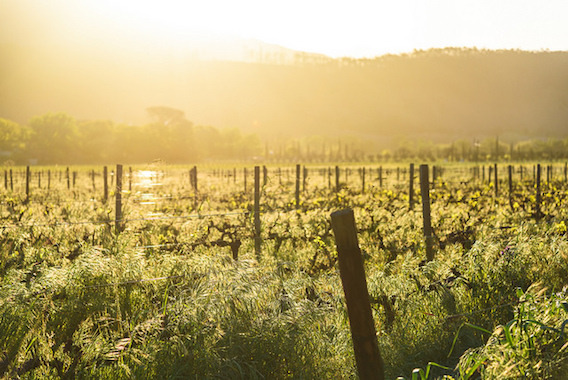 Whether you consider yourself a connoisseur, aspire to become one or are just interested in finding some good wines, late summer is an ideal time for you to tour France’s wine country. With the harvest approaching fast, taking a tour while the vines are full but harried pickers aren’t beavering away is ideal while the summer sun lasts. This time of year is like the calm before the storm and a tranquil daze falls across vine rows, taking a stroll down the avenues can be just as intoxicating as a glass of red. The main areas to visit for wine in France are: Bordeaux, Burgundy, Champagne and the Loire Valley. Each offers a unique guide to French wine making and you can book tours with companies or just take a trip by car or bicycle through the open country to each vineyard. There are a variety of wine tasting tour companies which vary in method from hotel arranged pick ups to deluxe VIP tours from companies such as French Wine Explorers. The latter specialises in taking guests to the exclusive and hard to reach vintners, giving you a bespoke tour to best suit your interests. Romance does not abide in Paris alone, the French landscape itself can stir the soul and make a couple’s holiday seem all the more special. Areas like the Loire Valley are immensely beautiful. A handheld tour with your loved one under autumn foliage, down secluded waterways with the scent of vineyards in the air will surely bring out the romantic in you. Of course a decent bottle of wine and countryside lodgings will help you make the most of your holiday as well. There is much more to do than just drink in these regions, for our post on the scenic beauty of the Loire Valley follow this link. Champagne also offers more than it’s bubbly namesake. 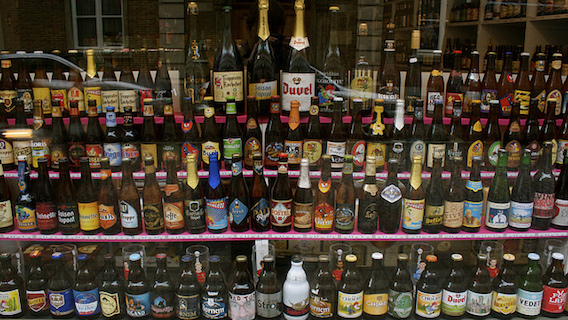 Beers have crossed the border from Belgium. 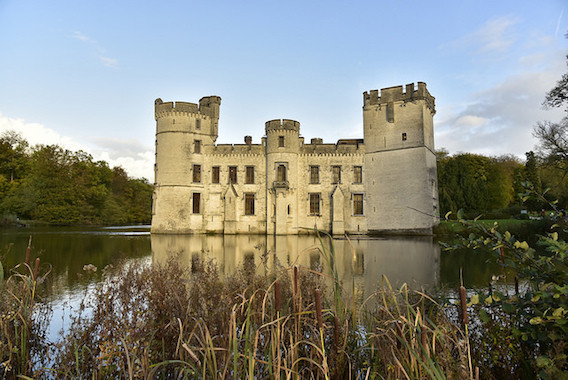 The north of France has an intriguing array of locations, not to mention events that would help make your French holiday all the more memorable. If tasting wine is more important to you than getting a feel for the environment and the process of French winemaking, you can remain in the capital for a tasting session. Where better than the hub of France itself to get a masterclass in the very best wines that France has to offer? These tasting classes begin at €50 and you can take your pick from drinking as you drift down the Seine to the scented cellars of the Parisian wine aficionados or something a little more modern like taking to a roof top restaurant. 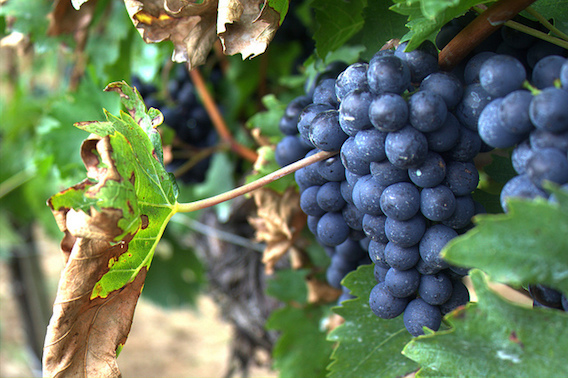 Some of the most famous French wines come from the Bordeaux and Burgundy regions. If you favour a glass of red then these more southerly areas are for you. Unfortunately this would mean quite a journey from the ferry port in Calais. In Bordeaux, wine tasting summer courses are available, priced at €35 a head. This is quite a good deal considering that the workshops will school you in everything from tasting, to a course in how the wine is made. These are a great idea for any budding vintner, connoisseur in the making or perhaps restauranteur who really wants to get to grips with subtleties of the different vintages. If attending classes isn’t to your taste then all you really need do is find a decent guide or maybe just a get a book detailing the finer aspects of your preferred region. One of the recommended sites for doing just such is Saint Emilion. 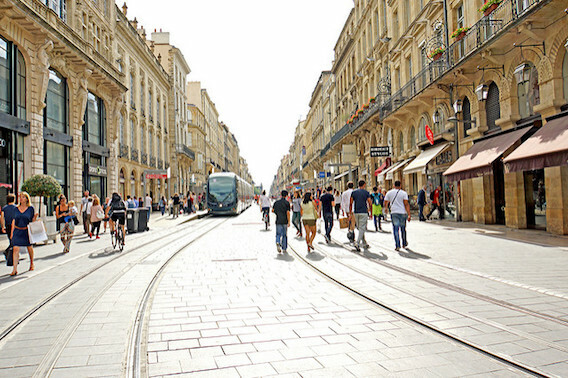 This is an UNESCO world heritage site right in the center of Bordeaux. This small medieval village is quite far off the beaten track, yet remains near to the vineyards so you’ll get good exposure to the wines of the region without falling in to a massive crowd of ‘wine tourists’. Burgundy has a better proximity to central France so you can get tours of the vineyards that pick you up from your hotel in Paris. If you’re taking a city trip an urban night is better offset by spending the day out in the French countryside, particularly if it’s a bright sunny day. Tours run by companies such as Authentica have a great reputation for hospitality, and their tour guides will give you tips on the best places to stop for lunch in Dijon. The best part of these trips is the warmth and interest of your guide. Wine tasting has an air dignity and sophistication to it but vineyards are places of energy and enthusiasm. Wine making may be a slow process however the love of the craft is a beautiful thing to behold in an authentic French setting. If authenticity is what you strive for then a vineyard cycling holiday is definitely what we recommend. Logistically these are far simpler then you’d believe. A 6-8 day tour of the Cotes de Rhone, Provence, Burgundy or the Loire Valley will take you down beautiful waterways and across sprawling vineyards. You can stop to recuperate in the small towns and pause at the wineries to sample the good stuff. With hotel bookings arranged before hand you can sojourn, seeing or tasting whatever sparks your curiosity. While the good weather lasts you can end up at the coast for a dip and then take a rapid transport through France and back up to Calais in time for the ferry home. Book now to get to France’s wine region in 2018, P&O Ferries Dover to Calais ferry crossing can get you there! We’re taking a look at some of the things that might draw you to Holland this summer. An overnight P&O Ferry from Hull to Rotterdam could be the saving grace of the season. 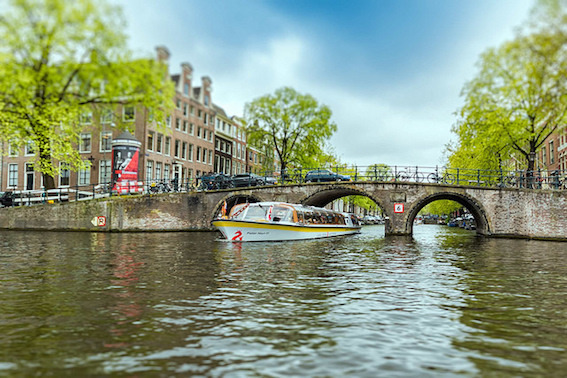 Readily affordable and easy to schedule passage out of the country allows you to make summer travelling easy and you’ll get to explore all the tantalising pleasures of the Netherlands. Amsterdam is host to 15 Michelin Star restaurants in 2018. There are four 2 star and 11 single star restaurants to choose between giving the city a total of 23 Michelin Stars. Tourism is at its height during the summer months so be sure to book ahead to avoid disappointment. C.E.O bas sen het flees loosely translates to Boss of the Meat. We’ll skip the vegetarian jokes. This restaurant has received plenty of accolades for it’s premium meat selection including Japanese Kobe Wagyu beef and Black Angus shipped from America. The venue boasts an American grill which will give you the best US style beef dishes this side of the Atlantic. Kwiezien: is a highly commended restaurant staffed by professional cooking students. 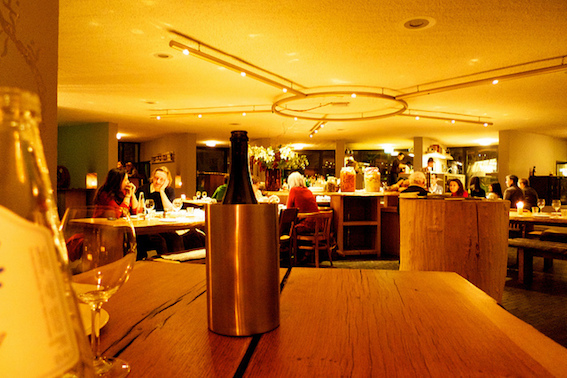 They a range of Dutch and seafood dishes with carefully selected wine pairings. This restaurant caters to modern pallets with new and exciting flavour combinations. Allure: a special place to eat, this restaurant lives up to its name, encompassing dining atmosphere with culinary excellence. Allure is now owned by staff who were once employees of the restaurant and have capitalised on their portfolio of customer care and fine cooking to polish up the restaurant to make it the outstanding establishment it is. With P&O Ferries you and a partner could take a mini cruise from Hull to Rotterdam for as little as £80. Take in some fine dining, explore the city a little and be back on the boat in a day or two refreshed and planning your next adventure. What’s summer without a good beach party? If you’re going to Holland this year then Bloemendaal’s beach parties are well worth the trip. Bloemendaal is on the coast near Amsterdam and you can get night buses for a woozy return to the capital after a hard night’s rave. These beach parties begin in late May and run each weekend with a different theme all the way through to mid September. Take special note some of the themed parties will have strict dress codes and door policies. The North Sea isn’t what you would normally think of for a beach holiday but the coastline of Holland makes for a fantastic getaway. If you’re staying in Amsterdam the coast is just a short drive away you’ll see the dunes that protect the flat mainland from flooding before the sea comes in to sight and then all you have to do is set up base camp before enjoying your day at the beach. The coast of the Netherlands is divided in to three parts, Noord-Holland the more inhabited area where you’ll find the parties, bars, clubs and generally more vivacious atmosphere. It should be noted though that there’s also a quieter side of flower fields and picaresque Dutch villages. 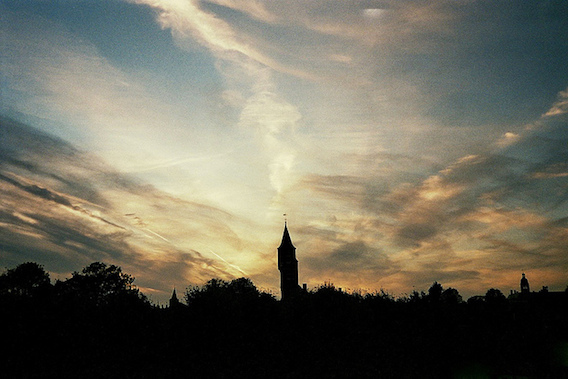 Zeeland has to offer a more classical beach experience scenic views, and fantastic sunsets. It’s location has been used historically as a military position so you can explore some of the medieval forts. It’s also a good spot for kiting, surfing and wind surfing. 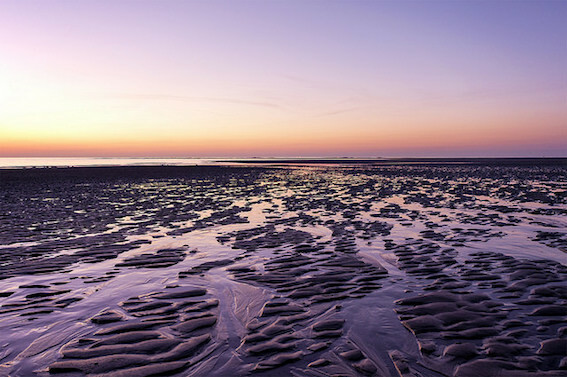 Finally the Wadden Islands are comprised of more natural beaches. This is an area of great importance to the wider ecosystem as the tide goes out a layer of fertile silt is left across the mudflats attracting wildlife from afar to come feast. You can cross the mudlfats on foot and take a close look at the abundance the sea has to offer. Take a hiking guide with you for added safety and they’ll be able to tell you in depth what it is that makes the Wadden Islands so important. P&O Ferries offer a pet service if you can’t bear to be parted from your dog or cat. A beach holiday will be made all the more satisfying if you don’t have those nagging doubts about your prized pooch in a kennel back in the UK. For £17 per trip you can bring your cat, dog or ferret with you on board the ferry. It will have to be in the kennel area for the voyage though you can go with staff to check on your pet, they are looked in on every 2 hours. Certain provisos must also be adhered to such as a pet passport and vaccinations – to find out more click here . The overnight passage from Hull to Rotterdam is open for bookings now, we look forward to seeing you in Holland this summer! Now that the hazy glare of new year is passed and so too the fleeting energy we muster to reinvent ourselves for a new calendar year it’s time to get down to business. So what are you actually going to do this year? More importantly, where do you fancy going? Here are some tantalising suggestions for why you should visit Belgium in 2018 with P&O Ferries. The ferry from Hull crosses the North Sea overnight to Zeebrugge, book cabins ranging from basic to premium sample on board dining as well as entertainment both adult or child oriented. It is an excellent way to ease in to your trip abroad and arrive well rested (with the car) and ready to explore. 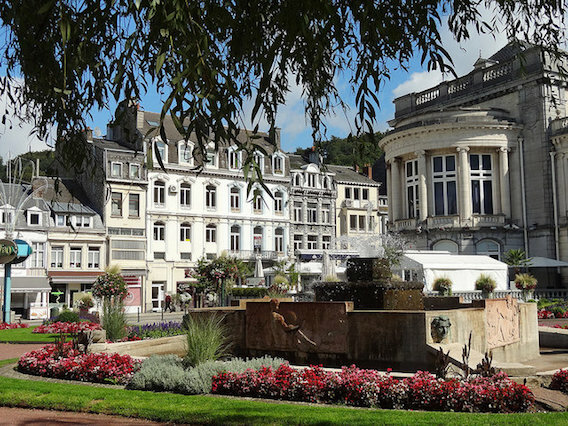 Spa, in Belgium is the birthplace of all modern spas. This small town is in the south east province of Lieges. It’s original clientele were royalty, after Henry VIII applauded the natural springs curative powers nobility started flocking there. Spa is situated in the Ardennes a beautiful forest region stretching from Belgium to Luxembourg and bordering France and Germany. After a hard days treatment in the resorts a walk beneath the canopy will certainly top off your relaxation. Spa is famed for its waters and if you can’t wait to get there then you can buy bottles of it here in the UK. There are around 200 springs in the area, whilst we can’t assure you of their restorative nature, the journey and environment will certainly do wonders for your soul. The facilities available in Spa vary from the deluxe centres to more wallet friendly packages. They even have a mother-baby institute if you feel able to travel, they take children up to 6 months old for both parents and babies to get some cleansing relaxation in. Spa is a wonderful place to receive therapy for respiratory and rheumatic problems. If the long winter has crept in to your bones, Thermes de Spa is a top of the line resort that treats around 35,000 people per year with top of the range heated hydromassage jets, baths of carbogaseous water, mud baths and much more. Thermes de Spa commands an incredible view of the town, gloriously framed by the surrounding hills and forest landscape. For a slightly less therapeutic but certainly edifying activity, head over to Leuven’s Brabanthal Exhibition Hall for the Zythos Bier Festival hosted every year on the last weekend of April. This event is steadily growing in acclaim and now hosts over 100 stalls of the finest craft beers from the spiritual home of brewing. This event welcomes all comers so don’t let any preconceived notions about language barriers deter you. Anyone who enjoys a fine frothy glass on sunny Spring day will feel welcome at Zythos. If what you had in mind was more of a family vacation then there is plenty to be seen that will interest the kids and perhaps their parents too. To take a break from scenic countryside resorts, classical galleries and historic landmarks, not to mention some damn fine brews, the comic strip centre is an excellent alternative. As the birthplace of creations like Tintin and the Smurfs, Belgium is somewhat of an authority on comic strip art. The building is a masterpiece of art nouveau, designed by Victor Horta, the founding father of art nouveau architecture, in 1906. It attracts an estimated 200,000 visitors a year and has a layout that’s like a cross between a funhouse and the Tate Modern in London. It’s an excellent place to just have a wander around, with many exhibitions to help educate those not familiar with the ninth art (comics). These exhibits include ‘The Invention of the Comic Strip’ and ‘The Museum of the Imagination’. This is an awesome gallery that speaks to the inner psyche improving your understanding of abstract imagery, which will give you a far better appreciation of comic strips. There’s a reading room if you just can’t peel your kids (or yourself) away from the BCSC as well as a restaurant and shop for you to bring a little bit of the spirit of the centre home with you. What else goes hand in hand with kids and comics? Sweets. 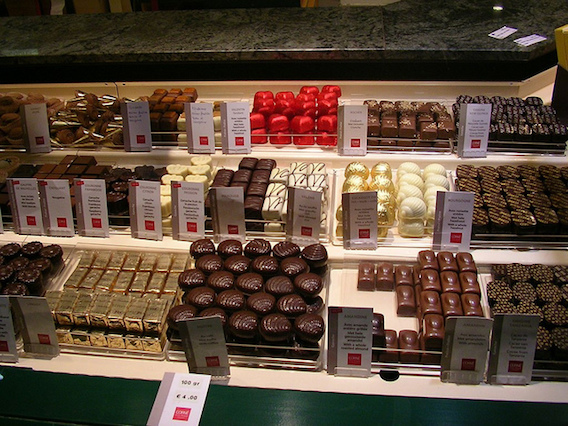 Belgium is the spiritual home of the chocolate industry. It was in Brussels where the idea for selling bitesize chocolate in boxes was first dreamed up. The industry is still going from strength to strength and the chocolatiers of Belgium keep on innovating and coming up with more and more tasty treats. Here’s the main resource for all you really need to know about chocolate tourism. There are a reported 2,000 chocolate shops in Belgium, so wherever you intend to stay there’s sure to be a chocolate tour near at hand. Most involve an in depth look at how the chocolate is made as well as a bit of history about its evolution. It’s likely your kids will mostly look forward to the tasting but we don’t doubt the chocolatey smell will have your mouth watering too. Alternatively you could just go to the Museum of cocoa and chocolate for a look around about chocolate heritage. Book your trip to Belgium now with P&O Ferries. Hull to Zeebrugge service running daily, an overnight cabin with on deck entertainment can get you there in high spirits. The festive season passes all to quickly (or maybe non to quickly depending on your point of view) but nevertheless as human beings it behooves us to keep our lives celebratory, adventurous or even carnivalesque if it’s our wont. So join P&O Ferries in 2018 to see what you can discover on your travels. One of the other major Winter events in France is the City of Nice’s Carnival. Make your way to the south coast for one of the brightest spectacles in Europe this side of Summer. The theme for 2018 is King of Space what better way to rid yourself of winter’s cobwebs then taking a trip down to the riviera for a bit of mediterranean sun and a festival fun? In 2018 February 17th to March 3rd a grand parade of floats bursting with colour and music will proceed throughout the city of Nice with thousands of dancers and musicians. To draw you in to the pulsing crowds float rides engage in flower battles’ wherein flowers are thrown at the onlooking crowd raining colour on the whole procession. Absolutely something not to miss for more details go to the Nice Carnival website. It will certainly be worth booking well ahead for accommodation. This festival draws people from all across the world and after this long winter a bit of frivolity in the sun is what most people have a hankering for. You may be one of the many ferry travellers seeking to take advantage of duty free in what is lovingly known as a ‘booze cruise’ and why not? After all with current political upheavals it may not even option in the near future. So if you are looking for something to do whilst waiting for your ferry, or feel that something a bit more edifying may be in order then Calais has a gilded cultural reservoir that may just provide a touch of illumination. The Burghers statues are spread out across Europe and have a fascinating story behind them originating in Calais where Rodin’s original bronze statues are. When Edward III laid siege to Calais after the battle of Crecy in 1346 the town was forced to surrender because the people were starving. The King demanded that 6 of its leaders submit to him, presumably for execution, wearing nooses around their necks and bearing the keys to the castle. One of the richest town leaders Eustache de Saint Pierre was the first to volunteer followed by 5 other burghers. Burgher is a medieval term for citizen mainly denoting a member of the bourgeoisie or intelligentsia. Edward’s wife, moved by this show of self-sacrifice, asked for mercy to be given since it would be a bad omen for her unborn child and the burghers were spared.The nobility of these men in the face of crushing defeat, willing to give up their lives in order for Calais to be spared, is now remembered in the form of Rodin’s sculptures. Rather than set the burghers up on pedestals he has given them true human form, exhibiting the frailty and despair that the burghers must have felt. He felt it important that they not be raised up too high because it is their humility that has immortalised them. 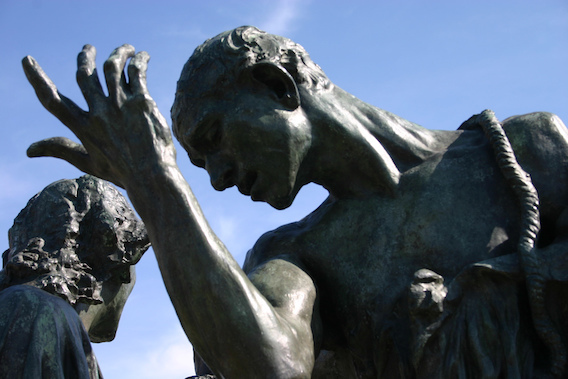 The statues are located at the front of the town hall of Calais, it was Rodin’s wish that a passersby could come across them almost unawares and feel a certain solidarity with the once saviours of Calais. In the winter months the burghers, as an artwork, can proffer consolation to the reflective soul. As we all anticipate the coming of spring and new life; that which is hoped for for the coming year, though in all probability it will have its slings and arrows, can be weathered if we are but steadfast and just maybe a touch of human dignity, fey yet coarse though it may be might impart itself on you as you approach these unpresuming sculptures. France has something for everyone, a family holiday to Disneyland, a romantic minibreak to Paris, a decadent food to tour for the gourmand, bacchanalian for the wine connoisseur, challenging genuflection for the artists and sublime vistas for those who glory in panorama. Love it or loath it Christmas is on its way. Book ahead for fast filling accommodation especially around New Year’s. We take a look at what you can get up to during winter breaks this year in Belgium with P&O Ferries. As we all lament the loss of the summer weather and rue though the loss of daylight as the clocks go back (though we must admit it has its benefits) the time to batten down the hatches for yet another winter season is upon us. If you, however, are susceptible to the winter blues (Seasonal Affective Disorder: yes it actually spells out ‘sad’) one means of tackling it is to find something positive to focus on. We’ll grant that’s not always so easy, but treating yourself this festive season may be just the ticket to see you through, or raise a smile on your loved ones face. 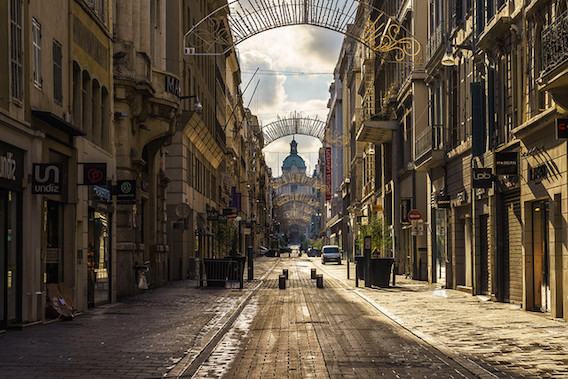 Belgium is an ideal country to visit during the winter months because of its close proximity to the United Kingdom as well as the fact that areas of outstanding natural beauty aren’t so far situated from the comforts of urban environment. For such a relatively small land mass there is an exorbitant wealth of cultural, historical and gastronomical pursuits to make even a brief stint fulfilling. 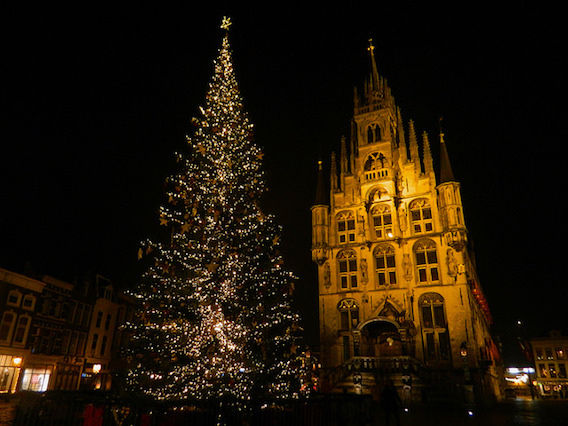 A lot of the winter tourism in Belgium is due to the Christmas Markets all the major cities have them, the three major draws are to Brussels, Bruges, and Ghent. Belgium’s border with Germany means there is a fair amount of teutonic influence on the seasonal festivities, since much of ‘traditional’ Christmas fare comes from German convention where better to turn for Christmas fun? 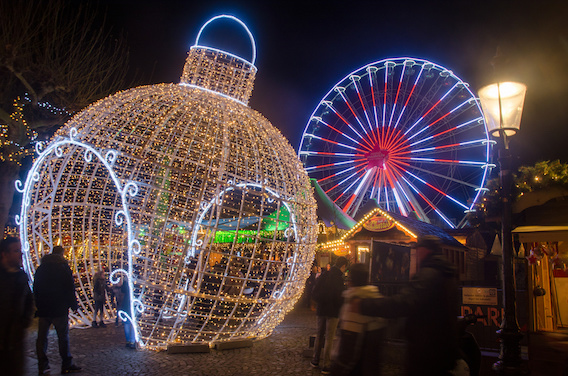 Brussels Christmas Market opens November 24th to New Years’ Eve. It is hosted right in the heart of the Belgian capital at the Grand Place the cities central square. A fantastic destination for couples looking to enjoy the season, there’s skating rink and ferris wheel for lots of hand holding and warm embraces, the cold weather with warm lights and merry atmosphere makes any trip here special with just that touch of romance. 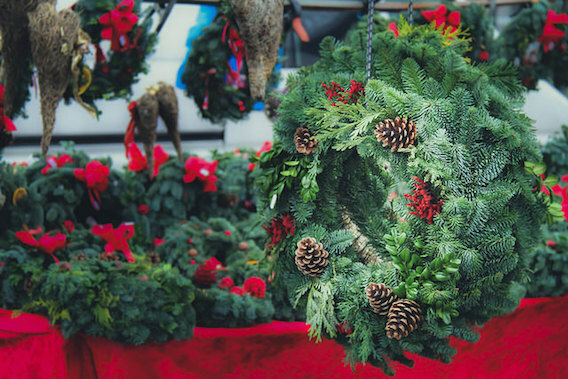 If you tend to struggle with Christmas shopping but want to find something a little bit special these markets offer an excellent selection. 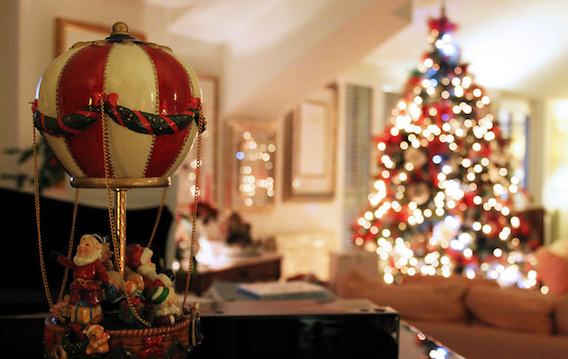 You’ll find even something small such as a decoration can become a treasure, brought out each year when most generic gifts have long lost their legs. The market in Brussels has upwards of 200 wooden chalets specially constructed to bring a bit of countrified Christmas village feel to the bustling metropolis. It’s an excellent site to partake in the countries ales with chocolate abound and warm waffles to delight both young and old. The Christmas market in Ghent opens a little later in the year on the 8th of December As a major city there is naturally a certain degree of traffic but you’l find Ghent’s market a little less crowded than the one in Brussels. The stall holders here remind us that Belgium is considered a crossroads of Europe and therefore there is a more international feel to the market, though it still retains its Belgian charm. The wares for sale and foods available to eat are all from around the world so you could find some uniquely unusual, or perhaps unexpected gifts for your loved ones. 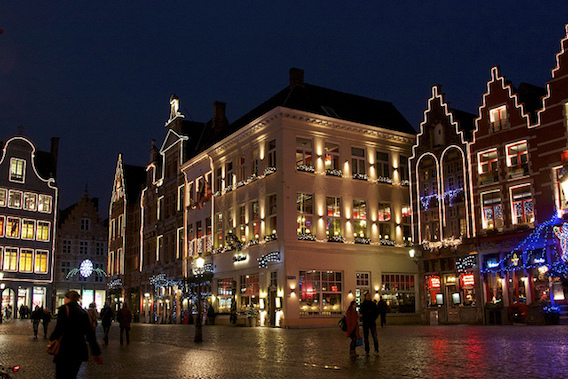 The third top Christmas market in Belgium for you to visit this winter is in Bruges. This is desirable destination for the winter months. 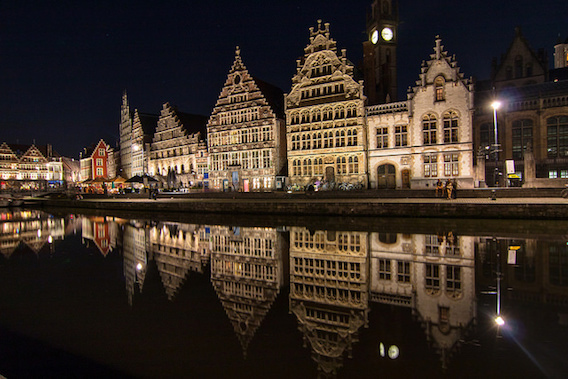 Like Ghent, Bruges is rich in history but its architecture and general feel make it really strike the soul. From the cobbled alleys to the ringing church bells Bruges really is a remarkable place for the short stay visit. 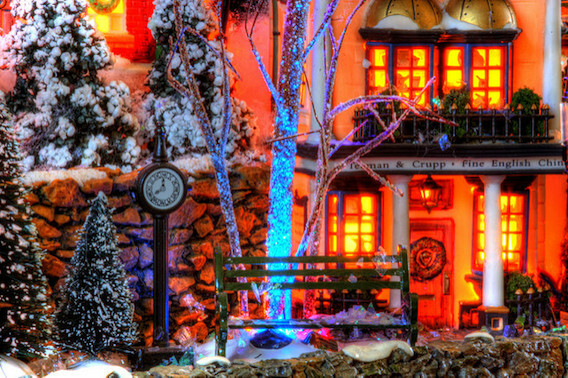 The canalled streets are a brilliant way to soak up early evening, savouring the season before reservations. The Christmas lights illuminate centuries old byways, you get the feeling that so much has happened there and just about any twist of fate might befall you if you’re open to it, there is mystery in Bruges. If we have persuaded you to see the delights of Bruges for yourself with P&O Ferries then the Christmas Market opens there October 24th right through to New Years’ Day. If you are hoping to bring in the New Year in Belgium this year, and why not they throw one hell of a party, then make you’re booking early accommodation and passage tends to fill up fast. We hope to see you this Christmas. Book now with P&O Ferries to get you through the winter months, the Hull to Zeebrugge overnight crossing awaits!